2 Wheels 4 Meals will be held on Saturday, June 12, 2010, to benefit emergency feeding programs. Last year, the Lehigh County Conference of Churches served 55,000 meals free of charge to the hungry, the homeless, people with mental illness, and the working poor. Every $25 raised will buy 100 meals. In May of 2009, Scoot for Food attracted 40 riders but the name caused some of our higher displacement cousins to avoid the ride. So this year, it's 2 Wheels 4 Meals. 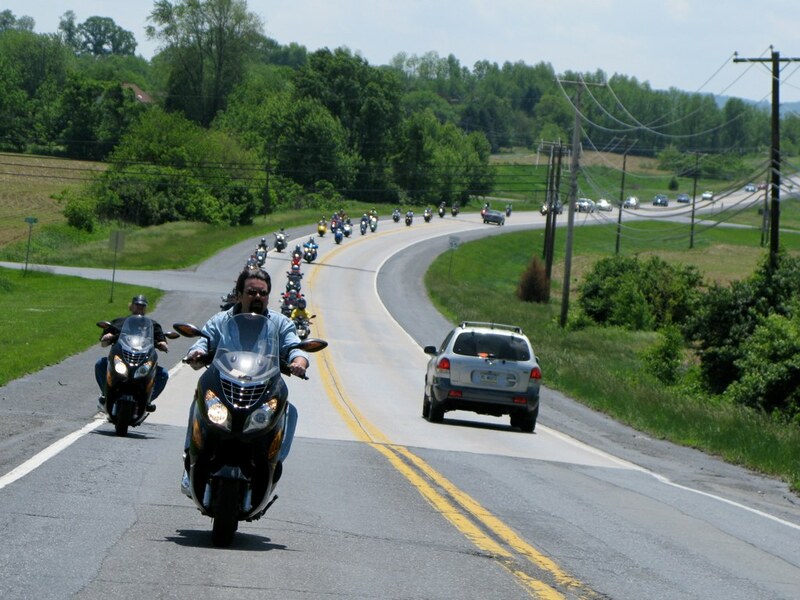 A loop of about 55 miles is planned, starting and ending in Keystone Park (Route 329 and Green Street) in Bath where there will be a live band and burgers and dogs, included in the ride registration. Two rest stops have been arranged. 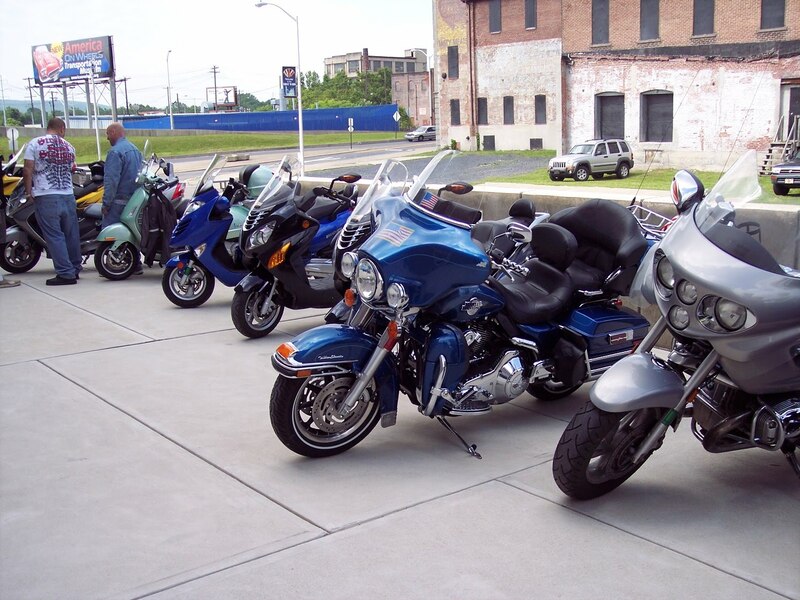 One stop will be at Blockers Enterprises, a huge Harley/Yamaha/Kawasaki dealership (http://blockers.com). The other will be at the country estate of an avid motorcycle collector who will allow the use of his swimming pool and hot tub! You can check out a part of Biker Bill’s collection of Harley’s that’s up for sale at http://www.bikerbill-hd.com. The Miller Blood Center van will be on site for donations. Respond to this posting or call the Scootdude at 610.762.7210 for a registration form or a flyer. $20 per rider includes the ride, the ride tee shirt, and BBQ. $15 for just the ride and the food without the shirt. Below are some pictures from last year's ride.